Some very good news for Marvel fans today: Ryan Coogler has officially signed on to write and direct Black Panther 2. This is something that has been largely expected, but hadn't been confirmed up to this point. Expected or not, having Coogler back in the creative driver's seat for the upcoming sequel is most definitely good news for the future of T'Challa and Wakanda on the big screen. According to a new report, Ryan Coogler officially inked a deal with Disney and Marvel Studios to return for Black Panther 2, somewhat quietly, a little while ago. The studio wanted Coogler back instantly, but he wasn't so quick to sign on the dotted line and he took time to hammer out the right deal. While the specifics of the deal haven't been revealed, one would assume this would include a massive payday for Coogler, given how successful the first Black Panther was at the box office. Not to mention how well the comic book movie fared with critics and fans alike. Black Panther went on to become a true pop culture phenomenon. The movie way overperformed and exceeded even the wildest of expectations, bringing in $1.34 billion worldwide, making it far and away the most successful solo character movie in the Marvel Cinematic Universe. It also currently holds a 97 percent approval rating on Rotten Tomatoes and is being positioned as a possible Oscar contender. Marvel has its sights set on a Best Picture nomination and Ryan Coogler could very well be in the discussion for Best Director as well. Needless to say, Black Panther is one of the biggest hits of 2018. Kevin Feige and the folks at Marvel Studios are currently keeping quiet regarding their plans for the MCU beyond next year's Avengers 4. The only movies we know for sure are coming down the pipeline are Spider-Man Far From Home, the Black Widow solo movie (which may be a prequel set before the events of the MCU as we know it) and Guardians of the Galaxy Vol. 3, which is in need of a director. However, Black Panther 2 was almost always an inevitability. Especially after the success it enjoyed financially. Getting Ryan Coogler to officially sign on is a majorly important, if unsurprising, development for the sequel. The report indicates that Coogler will spend the next year writing the screenplay and developing the story. 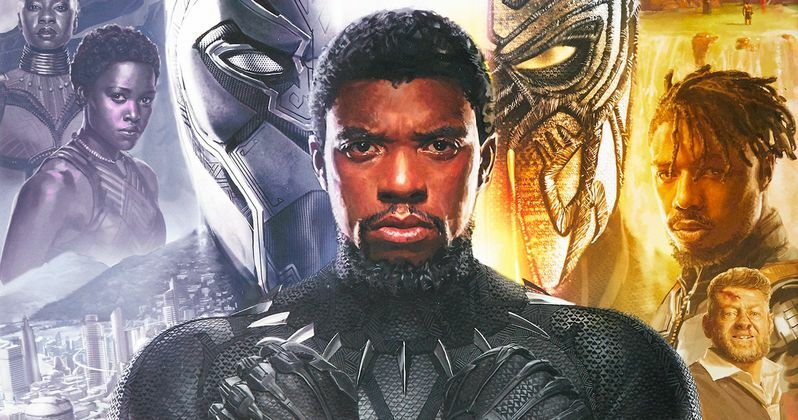 Since Marvel and Disney are keeping quiet, Black Panther 2 does not yet have a release date, but Chadwick Boseman (despite the events of Infinity War) is expected to reprise his role, alongside the rest of the central cast from the first movie. Should all go according to plan, the sequel will shoot in late 2019 or early 2020, which would position it as a likely 2021 release. We'll be sure to keep you up to date as more information on the project is made available. This news originated with The Hollywood Reporter.